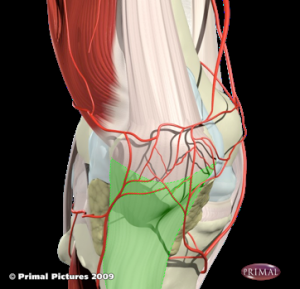 Runners Knee is when you feel pain in the patellar tendon, which is highlighted in the anatomy illustration below. It is usually located in the medial part of the tendon. Weak quad muscles (Vastus Medialis) is the cause.